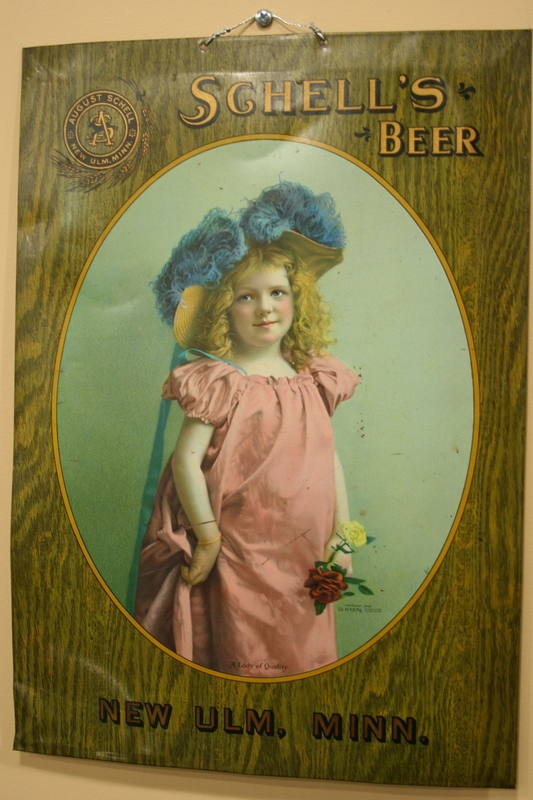 But I expect that back in the early 1900s, peddling beer in this manner was socially-acceptable. Can you imagine the uproar, though, if this occurred today, and rightfully so? What you can’t read in this photo are the words directly under the girl’s image: “A Lady of Quality.” That really got me. Again, I’m certain such word choice was not considered inappropriate for that time period. I wonder what the public will think years from now about some of our current-day ads. I’m not talking Schell’s advertising. I’m talking advertising in general.